"Jeannie Cho Lee" has rated the wine "Joseph Phelps Vineyards Insignia, Napa Valley, USA" from the vintage 2012 on 01.02.2016 with 91 of 100 points.
" Elegant and quite restrained right now, the Insignia needs more time in bottle to fully express itself. Layers of dark fruit and velvety tannin on the palate with nice length. The wine spect 2 years in new French barrels. " "Jeannie Cho Lee" has rated the wine "Joseph Phelps Vineyards Insignia, Napa Valley, USA" from the vintage 1978 on 01.11.2015 with 95 of 100 points.
" An impressive Insignia that is complex, delicious at nearly 40 years of age and going strong. Find dried plums, prunes and leather with firm, ripe tannins providing good stucture. Beautiful wine. " "Jeannie Cho Lee" has rated the wine "Joseph Phelps Vineyards Insignia, Napa Valley, USA" from the vintage 1995 on 01.11.2015 with 93 of 100 points.
" Opulent, generous, sweet and balanced - delicious to enjoy now. As usual, Insignia is the epitome of Napa in its generosity, warmth and the way it hugs you with its ripe fruit and supple texture. A wonderful wine that still has a decade or two of life ahead. " "Jeannie Cho Lee" has rated the wine "Joseph Phelps Vineyards Insignia, Napa Valley, USA" from the vintage 2010 on 10.10.2014 with 95 of 100 points.
" Focused and precise with lovely detail and supple texture, this Insignia is more precise than its earlier vintages from the 1990s. Lifted, balanced with notes of plum, cassis and cedar, this is a wine to cellar for another 5 years before approaching. Beautiful wine. 84% Cabernet, 10% Petit Verdot and the rest Merlot and Malbec. Tasted in: Hong Kong, China. Maturity: Drink. " "Jeannie Cho Lee" has rated the wine "Joseph Phelps Vineyards Insignia, Napa Valley, USA" from the vintage 2002 on 10.10.2014 with 93 of 100 points.
" Drinking beautifully now, this Insignia is at its perfect peak. Filled with layers of gentle dark berry fruit and sweet spices, this is a gorgeous wine that will continue to age well for another decade. Tasted in: Hong Kong, China. Maturity: Drink. " "Jeannie Cho Lee" has rated the wine "Joseph Phelps Vineyards Insignia, Napa Valley, USA" from the vintage 2011 on 10.10.2014 with 89 of 100 points.
" Forward and quite simple compared to previous vintages, the 2011 is going to be approachable early - in about 2017. Simple plums and red fruits with notes of mocha and a very pretty nose makes this a lovely early drinking Insignia. Tasted in: Hong Kong, China. Maturity: Drink. " 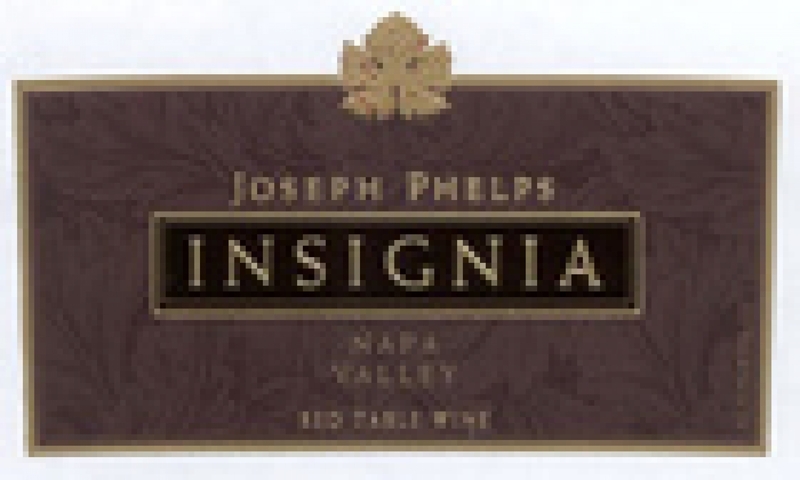 "Jeannie Cho Lee" has rated the wine "Joseph Phelps Vineyards Insignia, Napa Valley, USA" from the vintage 2009 on 20.02.2013 with 90 of 100 points.
" Full bodied, sweet, ripe flavours of classic Napa Cabernet can be found in this vintage of Insignia. Ripe plums, blackberries and hint of dark chocolate. Full bodied, upfront and ready to enjoy now though it will no doubt keep for at least 8-10 years. Tasted in: Napa Valley, USA. Maturity: Drink. " "Jeannie Cho Lee" has rated the wine "Joseph Phelps Vineyards Insignia, Napa Valley, USA" from the vintage 1985 on 20.02.2013 with 86 of 100 points.
" Mint and eucalytus on the nose with flavours that are fading on the palate. Hint of dried leaves and dried red berries. This wine is already tired and is drying out despite being from a double magnum. Drink up. Tasted in: Napa Valley, USA. Maturity: Drink. " "Jeannie Cho Lee" has rated the wine "Joseph Phelps Vineyards Insignia, Napa Valley, USA" from the vintage 2008 on 01.08.2012 with 86 of 100 points.
" Deep ruby, almost opaque. Very ripe, jammy blackberry fruit expression. The Cabernet has been taken to the limits of its ripeness with flavours that are very broad and mouth-filling. Punchy on the palate with lots of toasty, vanilla, new oak notes. High extract, big, full-bodied New World style. This wines was tasted blind. Tasted in: Hong Kong, China. Maturity: Drink. "